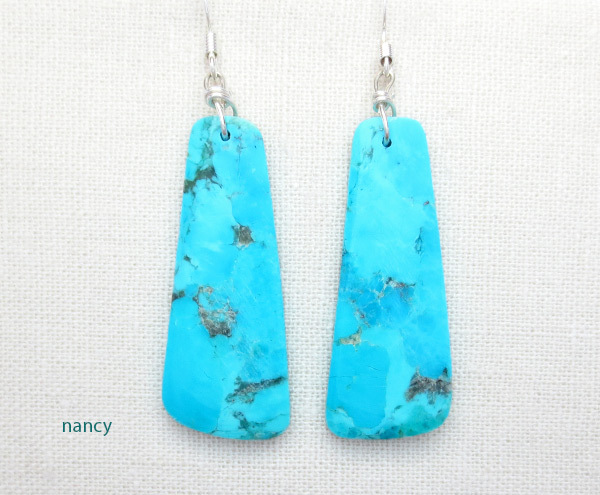 There's such an endless variety in slab earrings, I love it! 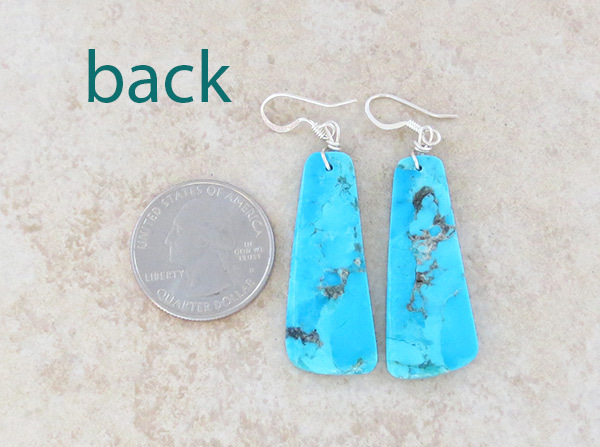 These earrings were cut and polished by Kewa artist Veronica Tortalita. 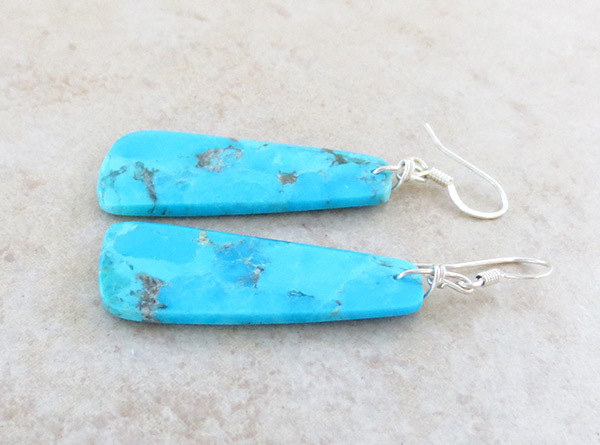 The turquoise slabs are are a mottled sky blue with light gray. Total weight: 6.4 grams on my scale.